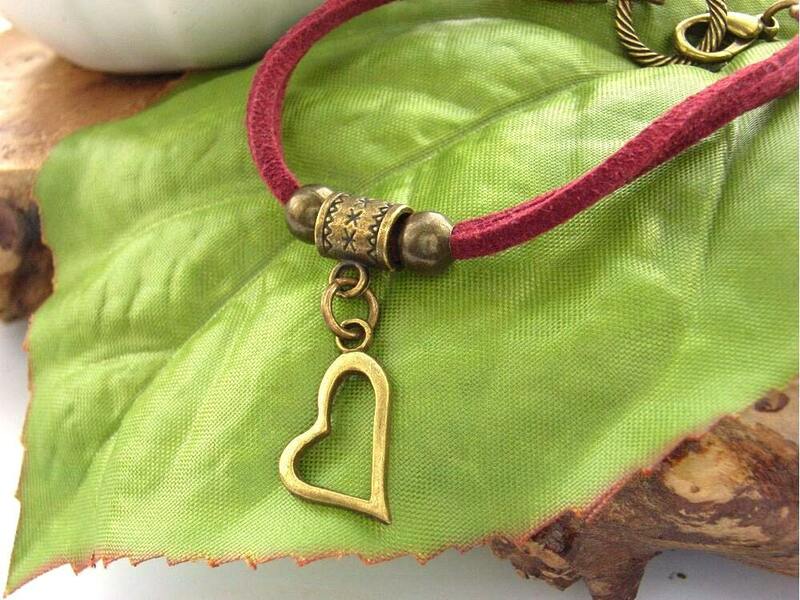 Open heart cord charm bracelet. The charm is set on a double strand of deep red faux suede cord and the bracelet fastens with a bronze tone lobster claw clasp. Folksy :: Buy "Czech Bead Bracelet with Millefiori Heart charm "